The crab is a fascinating animal. Some live in water and some on land. They know how to protect themselves. I saw thousands of them on rocks near a waterfall in Fiji. I love the way they navigate through life, although I'm not happy when they pinch my toes in the shallows ! 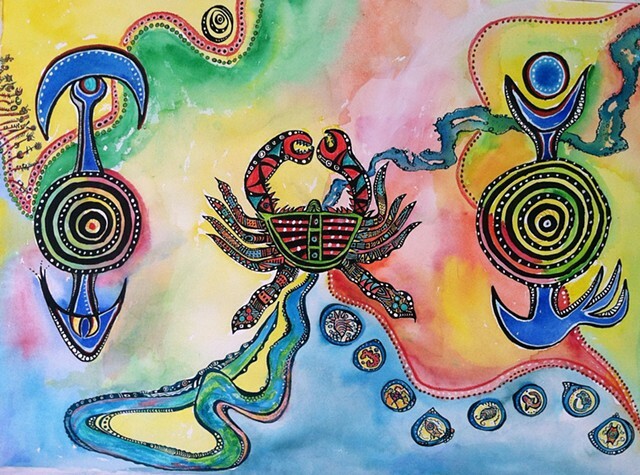 So this drawing/painting is an ode to the little crab.